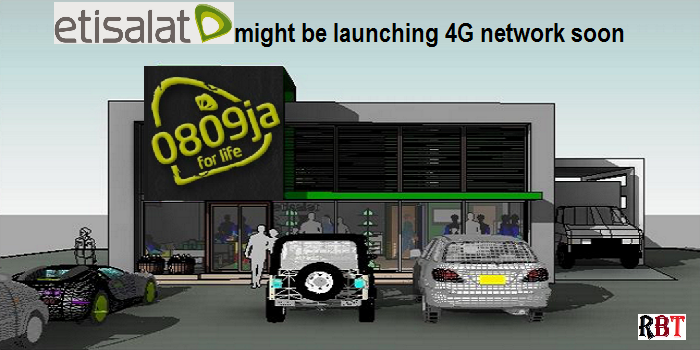 Some weeks ago, it was MTN 4G LTE service that was on the center stage but now its Etisalat’s turn. Etisalat 4G network service might soon be available to Etisalat network subscribers as it is set to join other 4G network service providers in Nigeria like InterC, Smile, Spectranet, ntel, Swift, and MTN. The self-acclaimed ‘most innovative telecoms network’ is currently testing its own 4G network in Nigeria in preparation for deployment ‘soon.’ If you’re in Lagos and you have a 4G enable device, a quick manual search of Available Networks will reveal Etisalat NG 4G starring at you. It is not clear how or when Etisalat joined the 4G bandwagon but it certainly doesn’t own one of the traditional 4G spectrums. Recall that MTN Nigeria had to acquire Visafone to get their hands on the necessary license to deploy 4G service. However, Rubiztech gathered from a reliable source that “NCC is “re-framing” the (1800Mhz) spectrum to allow Airtel, Glo and Etisalat also roll out 4G LTE.” Noting that MTN, who is already activating 4G Sim cards to its subscribers, have been refrained from using the 800mhz spectrum it acquired from Visafone. This may explain why there is a ‘forbidden’ in front MTN and Etisalat 4G networks as shown in the screenshot below. For now, you won’t be able to access it yet, but at least it’s comforting to know that Etisalat 4G network might be in the offing soon. This could only mean one thing: Fast and (hopefully cheap) internet for everyone. 4G is the short name for fourth-generation wireless, the stage of broadband mobile communications that will supersede the third generation (3G ). Note that although LTE is marketed as 4G by most networks, it is not actually a 4G technology as it does not fully meet the specification for 4G mobile technology. Long Term Evolution, LTE, is an evolution of UMTS (3G) and offers downlink peak rates of at least 100 Mbps, an uplink of at least 50 Mbps. According to the specification for 4G, a 4G mobile technology should have peak download speed for 100 Mbps for high mobility communication and 1 Gbit/s for low mobility communication. LTE clearly does not meet this specification.